UPDATES FROM MARK AND MELODY FROM MARYLAND! Guys, I’ve been too tired to write these past few days. … Trail riding is much more difficult than road riding, it turns out. 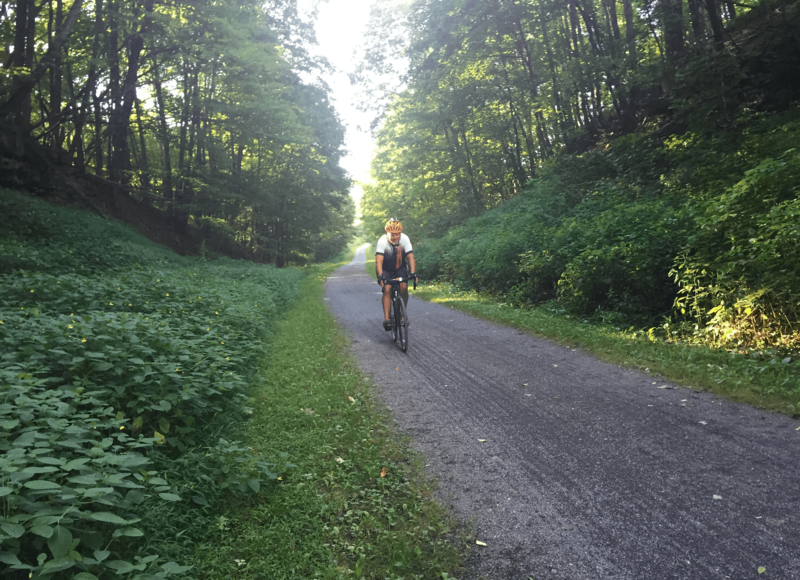 Read more about the grinding, the pie, and the GAP trail on Mark’s blog here. Close to the finish line! We’ve been too tired to write for the past few days. Yes, too tired. Both of us. Mark from riding 60+ miles every day for the past 2 months… and me from packing and moving every day, making sure everything is taken care of (housing, food, life). I have even stopped asking people what makes them feel alive! Yes, me. I even talk to people without the camera sometimes. Sometimes. See the car? It’s at the point that every time I open the door, something falls out. And guess what? I don’t care! I’ve lost so many things, cut myself so many times, fallen down, dropped so many things (caught my camera on the back of my heel of my shoe as it was falling to the ground the other day)…that I just don’t care anymore, really. 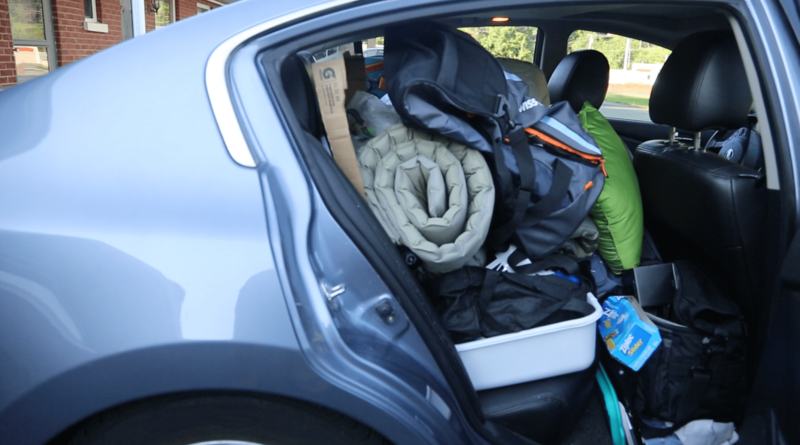 I don’t have the energy to re-pack the car again. I guess I’m tired in a different way than Mark. Oh, and did I mention that so much of what I have filmed is a disaster? I have already mentioned previously that Mark is not exactly a willing subject. Problem # 2: sometimes I am juggling several cameras at once. The other day I was capturing my footage in the computer and I noticed that the GoPro footage was upside down. Turns out that Mark had taken his helmet off and hung it on the handlebars. That about says it all. I’m tired. Yet, I don’t want to complain. This journey has been an incredible experience. It’s like having kids. Sometimes you feel like it will never end. And when you ship them off to college, you wonder where the time went. I also still enjoy watching Mark as he arrives at the end of every day. My heart does a little flutter every time I see him ride out from somewhere because I am so dang proud of him. This has been his own version of an Olympics and I am in awe of him that he said he would do it and now he’s almost done. Give it a year and you’ll just remember the warm and fuzzier…. Well, we can hope, right? Hang tough, you two! You are so right, Linda! Thanks!! You two succeeded! Great job! After 74 days and 8900 miles on the road I’m back home and resting. The car is cleaned out. Great meeting you and fun watching all the videos. You both make me smile. (We met at the Curtis Canyon campground, WY by the Elk Refuge in Jackson, where you shot video of feeling alive). Hello Mark and Melody, I met you in Bills Place in New Orleans MD. It was really nice and a pleasure to meet you. Glad we crossed paths. Congratulations and keep up your amazing journey. Your a Great inspiration.